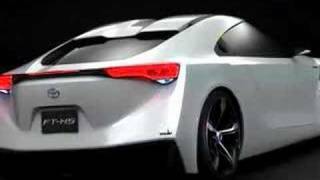 Toyota FT-CH Concept car was unveiled today at the Detroit Auto Show 2010. 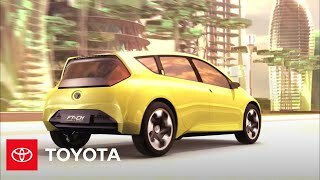 The FT-CH concept will address Toyota’s strategy to offer a wider variety of conventional hybrid choices to its customers, as it begins to introduce plug-in hybrids (PHVs) and battery electrics (BEVs) in model year 2012, and hydrogen fuel cell vehicles (FCHVs) in 2015 in global markets. The FT-CH was styled at Toyota’s European Design and Development (ED²) center in Nice, France. Compared to Prius, it is 22 inches shorter in overall length, yet loses less than an inch in overall width. In spite of its compact external dimensions, FT-CH is designed for maximum passenger comfort and interior roominess, with an imaginative sense of style. DETROIT, January 11, 2010---Toyota Motor Sales (TMS), U.S.A, Inc., today unveiled the FT-CH dedicated hybrid concept at the North American International Auto Show (NAIAS) in Detroit. The FT-CH is a concept that would address Toyota’s stated strategy to offer a wider variety of conventional hybrid choices to its customers, as it begins to introduce plug-in hybrids (PHVs) and battery electrics (BEVs) in model year 2012, and hydrogen fuel cell vehicles (FCHVs) in 2015 in global markets. “It’s a package Toyota dealers and customers have been asking for,” added Lentz. The FT-CH was styled at Toyota’s European Design and Development (ED²) center in Nice, France. Compared to Prius, it is 22 inches shorter in overall length, yet loses less than an inch in overall width. In spite of its compact external dimensions, FT-CH was designed for maximum passenger comfort and interior roominess, with an imaginative sense of style. 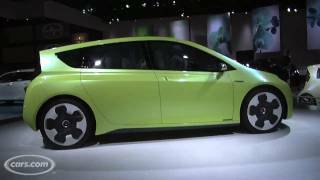 Pointing to how Prius has become a universal icon for hybrid technology, Lentz confirmed that TMS is developing a Prius family “marketing strategy” for North America that will take full advantage of the Prius brand equity. of Prius and a total of seven full-hybrid models, it has systematically reduced size, weight and cost while improving energy density, quality and reliability. Toyota’s joint venture partnership with Panasonic has been a key element of its success in the advancement of hybrid technology. Later this year, Panasonic EV Energy (PEVE) will have three separate, fully operational production facilities with a combined capacity of more than one million units per year. The Prius PHV introduces Toyota's first generation lithium-ion drive battery. When fully charged, the vehicle is targeted to achieve a maximum electric-only range of about 13 miles and capable of achieving highway speeds of more than 60 mph in electric-only mode. For longer distances, the Prius PHV reverts to “hybrid mode” and operates like a regular Prius. This ability to utilize all-electric power for short trips or hybrid power for longer drives alleviates the issue of limited cruising range encountered with pure-electric vehicles. 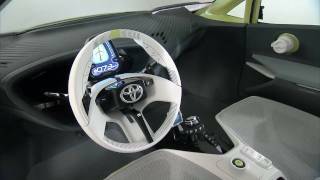 Toyota is moving quickly with the development of PHV technology well beyond this demonstration program. Advanced battery R&D programs with nickel-metal, lithium-ion and “beyond lithium” are underway for a wide variety of applications in conventional hybrids, PHVs, BEVs and FCHVs. Toyota’s latest model, the Toyota FCHV-advanced began its own national demonstration program late last year. Over the course of the three year program, more than 100 vehicles will be placed in an effort to demonstrate the technology’s performance, reliability and practicality in everyday use. 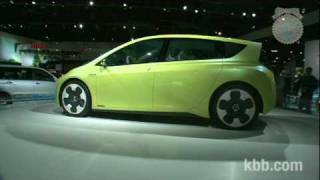 Shortly thereafter, Toyota started a modest demonstration program with a small- battery electric urban commuter vehicle, called the e-com. This concept addressed the idea of the “on-demand” city station car similar to the Zip-car business model that is becoming popular in large urban areas. Although shorter in range, the e-com program addressed a specific mobility niche at a much more affordable price than the RAV4 EV. The RAV4 EV and e-com programs were short lived due to lack of commitment from the market; the consumer and the consumer’s environmental mind set were not ready to commit to battery electric vehicles at that time. Recent increased awareness of environmental issues and the benefits of advanced technology vehicles have reinvigorated an interest in the electric vehicle market. As a result, Toyota will bring a small, urban commuter lithium-ion BEV to market in model year 2012.